This article will describe installing KVM. Install qemu-kvm package and some packages for virtual machine operation. The user in libvirt group can run virt-manager without sudo. Allow VNC port with using vnc-server.xml so that other machine can access virtual machine. The vnc-server.xml allows only 4 ports. If you need more, please change 5903 to bigger value. If Enable kvm_intel nested, you can create nested virtual machine on virtual machine. 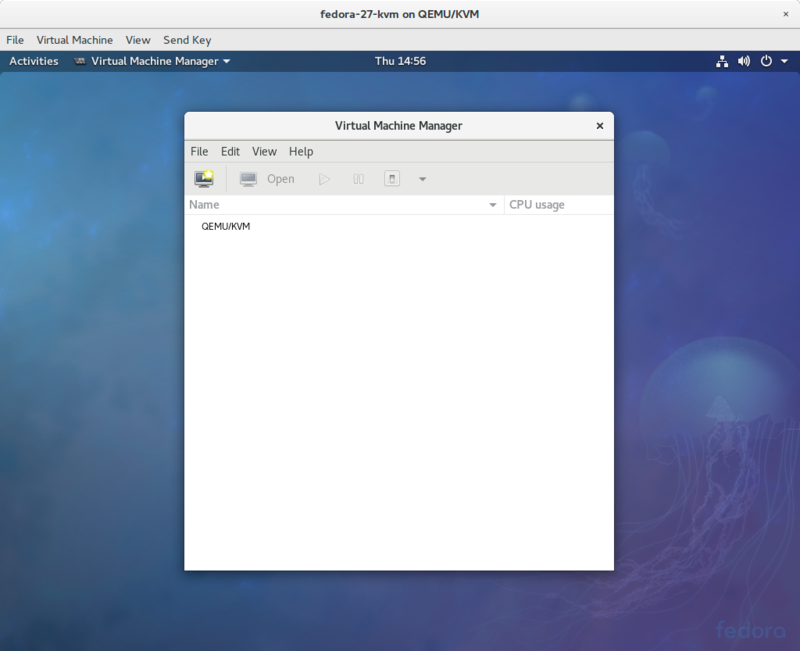 You can manage virtual machines via GUI with virt-manager. For managing virtual machines via CUI, use virsh and virt-install.